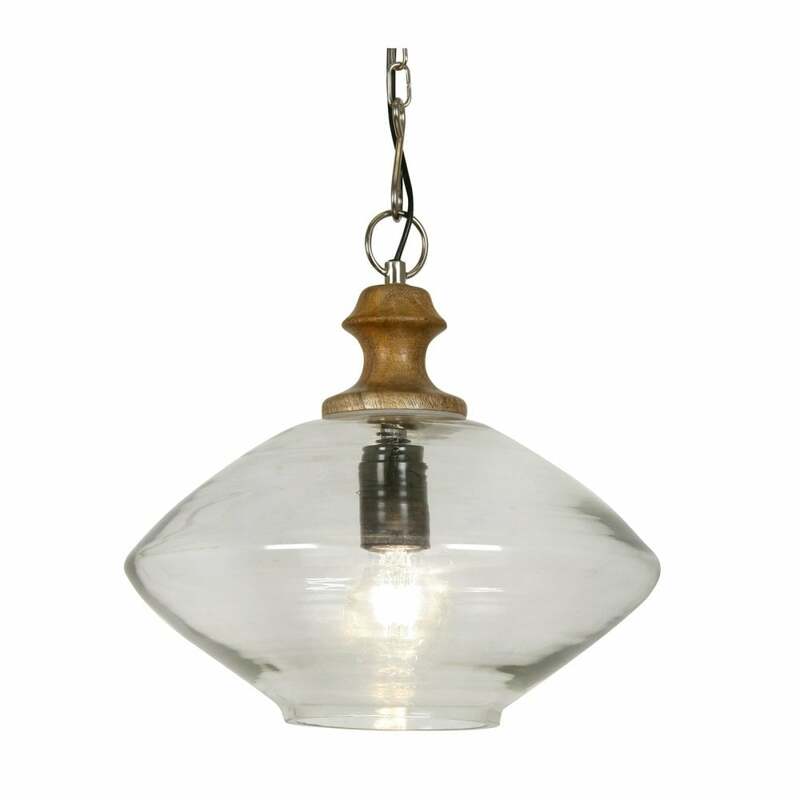 Oaks Lighting Jalpur single light ceiling pendant features a circular ceiling plate with black cable and decorative chain in chrome finish, holding a diamond shaped clear glass shade with decorative wood detail. This product code is 3912 WD. The unusual design has attractive wooded detail at the top of the glass shade which will add a vintage look and teamed with a filament lamp will complete the look.